By now you’ve probably heard whispers (or shouts) about Gutenberg, WordPress’ new page editor. Opinions about this new feature are varied, but most people fall into one of two camps: love or hate. This editor is great for formatting text and adding images and links. What it isn’t great for is creating fun, custom layouts. Gutenberg is setting out to change that. 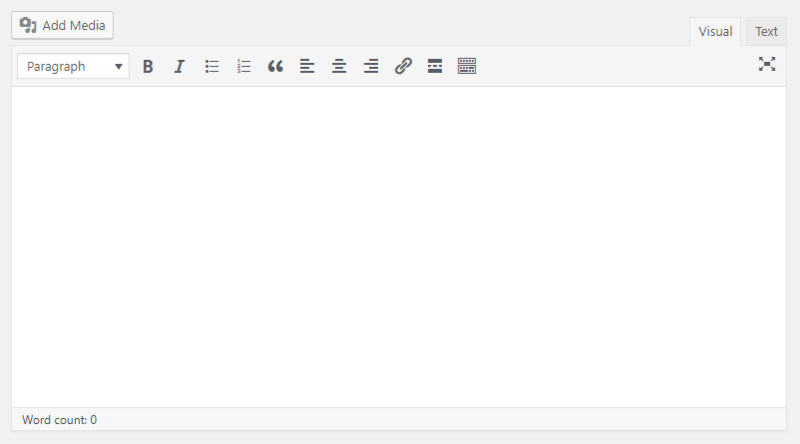 The new WordPress editor, Gutenberg. The Gutenberg editor is based on blocks (similar to WordPress widgets) that can be added, edited, and rearranged as independent pieces. The goal is to reduce the amount of custom code required to make unique page layouts and free you from the limitations of the existing text editor. Sounds great! Why would anyone hate it? One of the biggest concerns people have is compatibility issues with existing themes and plugins. Fortunately, Gutenberg has been in development for a while as a plugin, so many theme and plugin providers have had an opportunity to test their products and make changes as necessary. Aside from that, change is hard. Even little changes can through our whole workflow off balance, and this is a huge change to WordPress. The best thing you can do is educate yourself. I wouldn’t be surprised if we all see an uptick in requests from clients as they start to experience the new editor. Following are some of the best resources I’ve found for getting familiar with Gutenberg and its effects on the web design industry. Kinsta provides a great overview of Gutenberg’s blocks and features. They also include a list of pros and cons so you can dive a little deeper into the differing opinions. This is another detailed overview of Gutenberg’s blocks provided by Smashing Magazine, with its own list of pros and cons. More of a video person? Check out this video for a very broad overview of Gutenberg. This short post by Invision offers some insight into the impact Gutenberg will have on web designers. I think point number four, the risk of repetitive design and layouts, is a good one to consider moving forward. So, with Gutenberg I’ll be able to make the custom site of my dreams? Eh, depends on your skillset… Out of the box, Gutenberg will still have limitations. Fortunately, Gutenberg has left the door open for the development of custom blocks. Also, one of the most popular plugins for building custom WordPress sites, Advanced Custom Fields, is ready for the Gutenberg release. One of the great things about WordPress is the abundance of free plugins that are available to extend the functionality to meet your website needs. Unfortunately, there are a lot of bad plugins (think security concerns) out there that make choosing the right plugin a little difficult. Here are the steps I follow for selecting free plugins for myself and my clients. Yes, WordPress allows you to search for plugins within the admin interface, but I prefer my trusty friend Google. My Google phrase tends to be something like “wordpress explanation of functionality” (ie: wordpress simple seo). I like to open tabs for each plugin I’m interested in then start comparing the metrics listed below. In the right column of a WordPress plugin page you’ll find a set of metrics that are invaluable for choosing which plugin(s) to try. Last updated. This will tell you how active the developers are and how likely it is that this plugin will work with your current version of WordPress and with future updates. Also, active development means the plugin is likely to stay up-to-date with security essentials. Plugins that haven’t been updated for more than two years will display a warning. Active installs. In this case, popularity does matter! Active installs lets you know how many other WordPress sites are actively using the plugin. It’s a safe assumption that if a lot of people are using the plugin it is of good quality. Ratings. I’m going to assume you are familiar with the way ratings work. I like to pay particular attention to the ration of good to bad ratings and will read reviews of the bad ratings if I’m particularly concerned. Yes, I read the descriptions after looking at the metrics (because honestly it takes more time to read than look at numbers). Don’t forget to check out the screenshots that are (hopefully) provided. You have a good idea what you’re looking for and you’ll quickly be able to decide if a plugin will meet your needs. The only way to 100% know if a plugin is going to work for you is to try it out. Luckily we’re talking about free plugins so the only thing this will cost you is time. Always take a backup of your site before installing a new plugin and, ideally, install on a staging (cloned) version of your site. Now, sometimes there is not a free plugin that will provide the features and quality that you need and you must find a premium plugin. Luckily a lot of premium plugins also have a free version so you can get a feel for what they provide. When it comes down to it, consider the value of your website and it may be easier to spend money on good quality plugins. I’m a web developer. I love creating WordPress sites totally from scratch, digging into the nitty gritty of CSS and HTML. 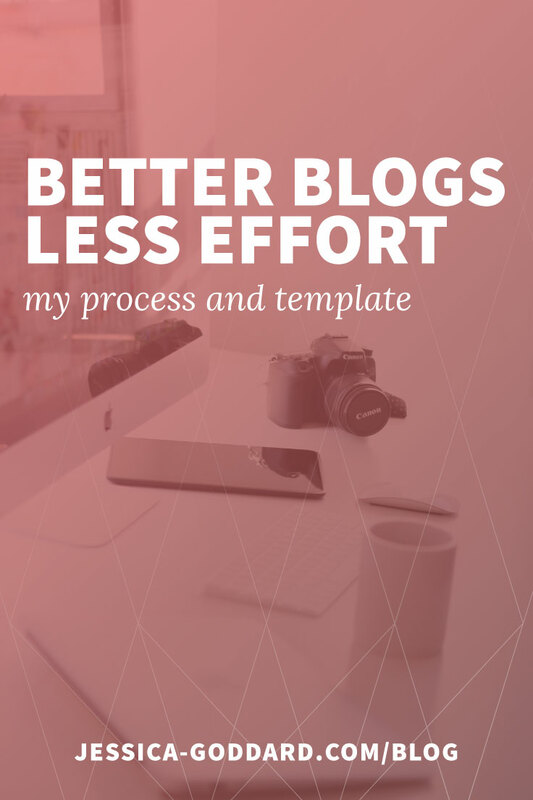 I have often shied away from visual page builders with drag-and-drop interfaces because it takes away from my “craft.” At times I’ve probably even spoken badly about them to clients and peers. But, I have a confession. My website (on the day of writing this) is using Beaver Builder, one of those WordPress page builders I have so vehemently avoided. Why? Well, I was in a hurry. My goals were more pressing than my need to create a custom theme. 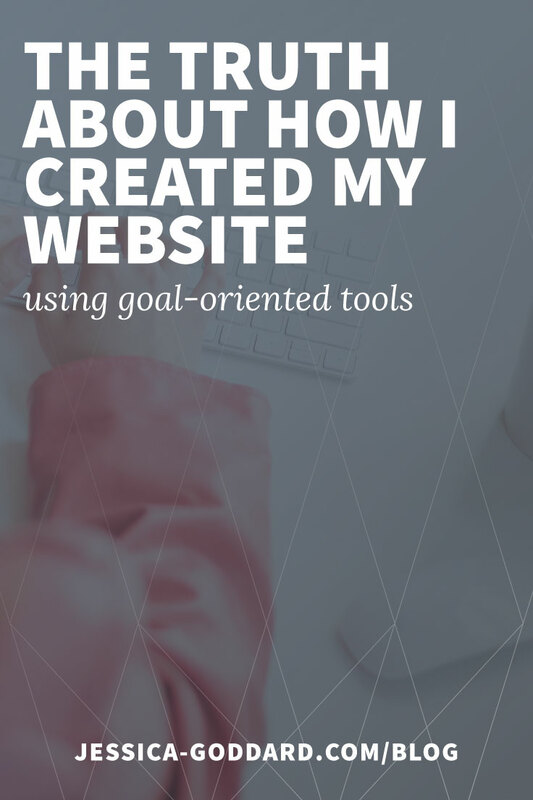 By swallowing my pride I was able to create a beautiful, functioning site in about a day and move onto more pressing matters. What’s the point of all of this? Sometimes the simple solution is the best solution. 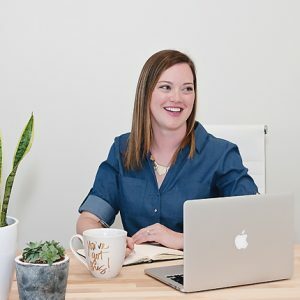 Sometimes your budget or timeline may not be adequate for a custom site and in that case you need to do the best you can with what you have to keep yourself (and your business) moving forward. I love WordPress. It’s relatively simple, very powerful, and easy for my clients to manage. 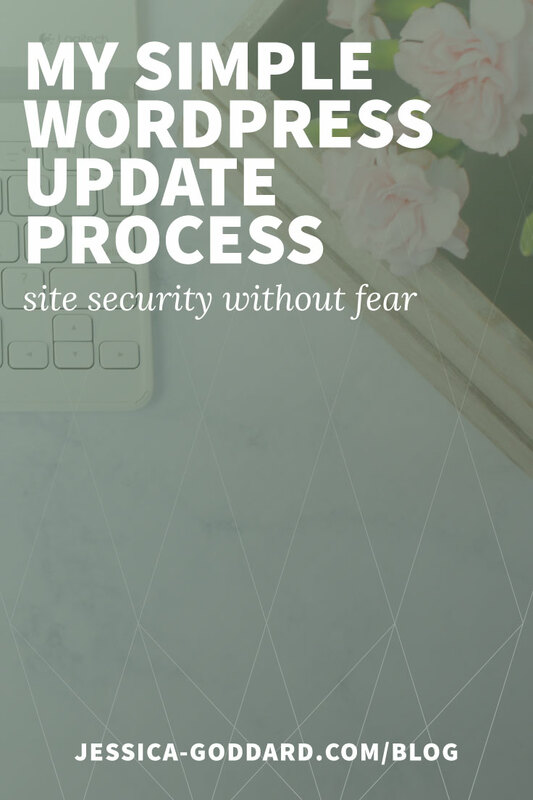 The one aspect that can get a little hairy is keeping everything updated (which is essential for the security of your site). I typically perform updates twice a month, sometimes more often when there is an urgent security release, and this is the simple process I use to minimize issues. BONUS PREP STEP: Create a document that details what each plugin on your site does, that way when you update plugins you will know which element(s) of your site you need to test. Backup your WordPress files and database and download the files to your computer. BackUpWordPress is one of my favorites for its simplicity. I typically keep one set of backups on my computer at any given time (meaning each time I take a new backup I delete the old one). Update the plugins using WordPress’ easy update page. If you have a lot of updates at once or if you are using a plugin that has major significance on your site consider updating just a few plugins at a time. Test your site to confirm everything is still functioning as expected. Remember to clear your cache (if necessary) to confirm all changes have gone through. Update and test the theme you are using the same way you updated your plugins. Finally, perform any updates to the WordPress core and, again, clear your cache and test the site. That’s it! You should be able to sit back and relax knowing your site is up to date and working beautifully. Should you encounter an issue, you can always reach out to me, or check out Codeable or WP Curve.